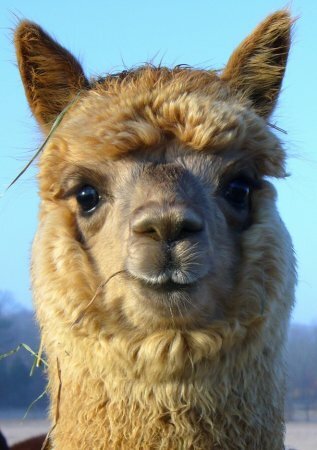 Purl won First Place at the National Champions' Alpaca Fleece Show and the VAOBA Alpaca Expo Spin-Off in 2013! Purl also won First Place at the Big E in 2010. Purl is one to watch! 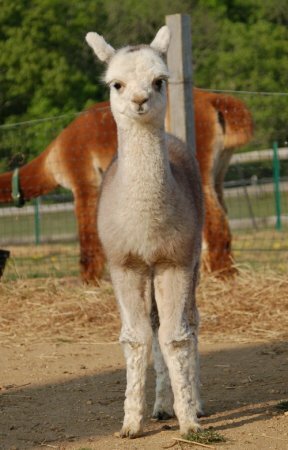 A beautiful grey Purl is with her tremendously fine, bright fleece and quality conformation, we look forward to watching her grow! 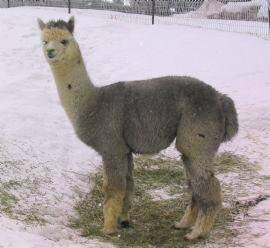 With the strong background of her dam Margeaux's genetics, in addition to her sire Magic's Talon's substantial bone and excellent conformation we can only predict that she will be one fabulous alpaca. 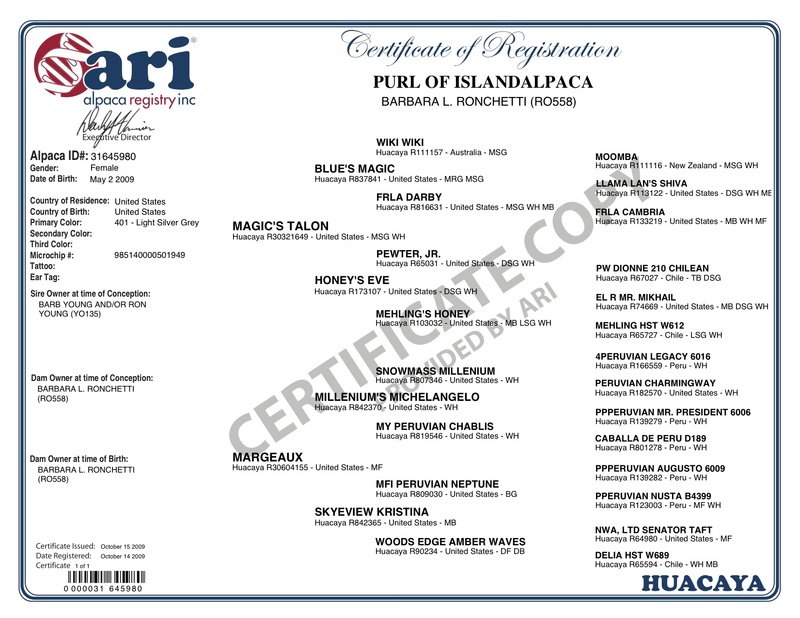 Her sire is a proud, erect male with just beautiful lines to him, a trait that we can already see in Purl. Talon is the picture perfect grey with a spot-free blanket, and Purl, a tuxedo patterned grey, is almost spot free. 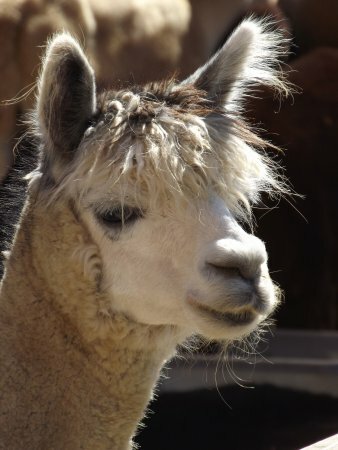 Judge commented on her fleece from Alpacapalooza 2013: "Minimal amount of fleece lost in production. Nice brightness!" 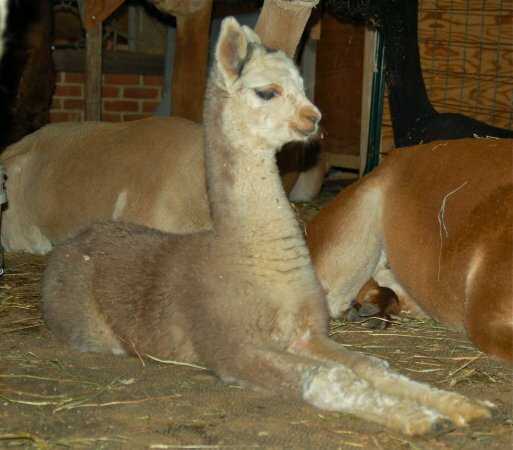 Currently, Purl is due for a cria in 2019. The sire is our very own Double Dee Revelation! Margeaux is one of our most treasured girls on the farm. Along with a very pleasing personality she has bright velvety fine fleece and correct conformation. 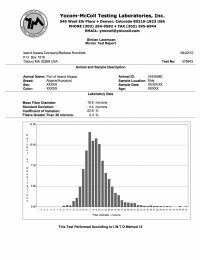 2007 Fiber analysis: 20.5 micron. Margeaux does her Hemmingway/Legacy/Augusto pedigree proud with a fineness that is second to none. 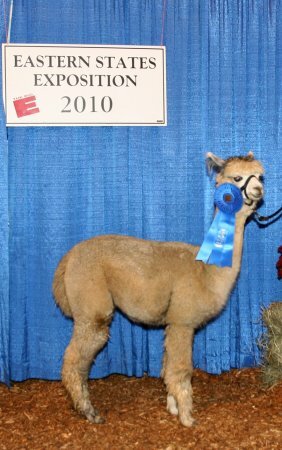 Talon, at the Alpaca Festival of Oregon, 2010, took the Reserve Color Championship for his fleece, with 16 alpaca in the competition, ten juvi's and yearlings included. Talon was the oldest with the exception of one competitor. Impressive for five years of age!